Med Associates, Inc. - bringing a wealth of skill and knowledge from over 100 years combined experience in the healthcare industry including account management, provider enrollment coding expertise, financial management and more. An advocate for small and mid-sized providers, offering services that go beyond the ordinary to save you time, money, and frustration in managing your business practice. Provides infrastructure and high quality resources that is not available to providers due to their size. You focus on managing your patients and we help manage your practice. 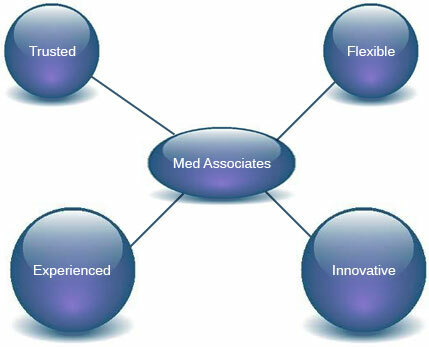 Let Med Associates be your solution! Your partner in providing technical systems and office expertise!